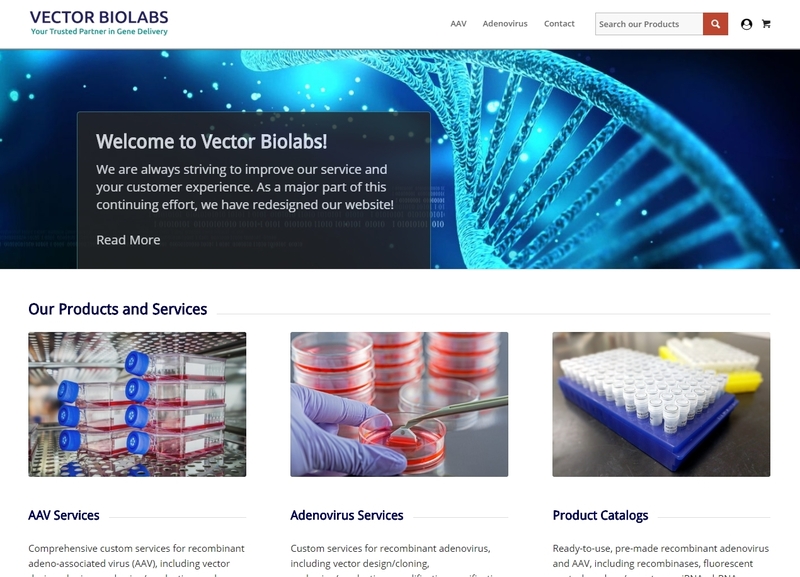 Welcome to the New VectorBiolabs.com! Here at Vector Biolabs, we are always trying to improve; whether that means streamlining our viral production services or enhancing your customer experience. As a major part of this effort, we will be have launched a new, modernized website! You’ll notice our navigation bar has been moved from the left side to the top of each page. 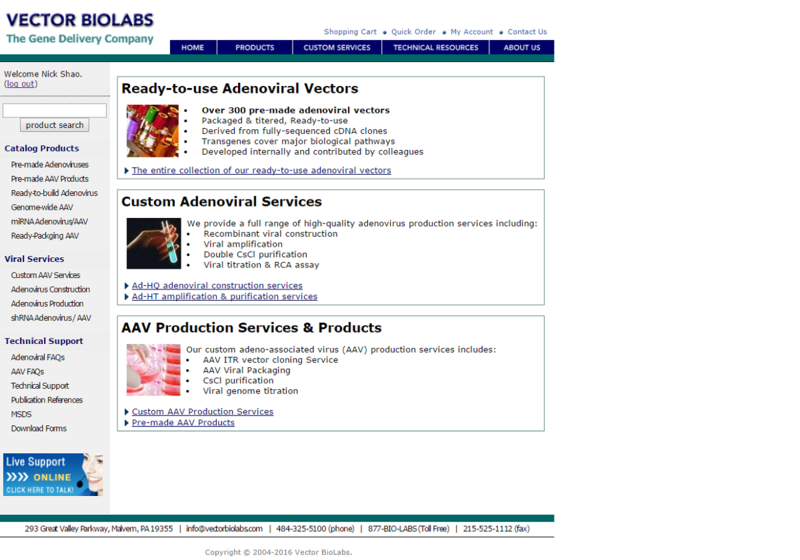 Just like before, you can navigate to our AAV or Adenovirus product pages, as well as all our viral production services. We also have a new page for our CRISPR/cas9 products! This page, as well as our shRNA, miRNA, and Over-expression product pages can be found on both the home page and in the footer. If you can’t find what you’re looking for on any of those pages, our entire catalog has been streamlined, so you can just use our improved search function! Just type the gene you’re looking for in the search bar and use the filters to narrow down the scope of the results. We hope you’ll find the new site easier to use and navigate! Please do not hesitate to contact us if you are having trouble finding the page, product, or service that you need!